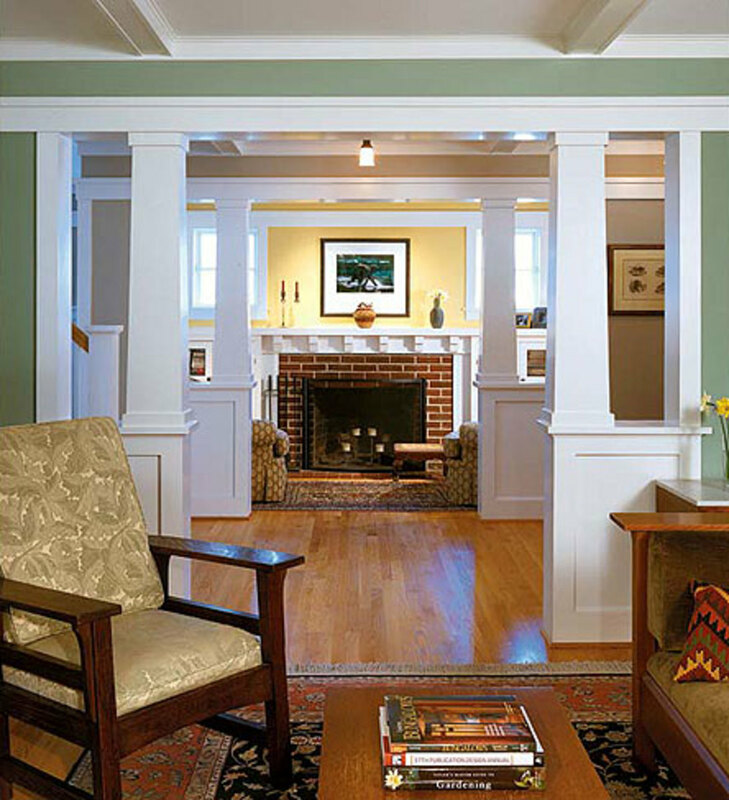 New colonnades create a cozy inglenook and entry foyer in a postwar rambler recast as a Craftsman Bungalow; design by Moore Architects moorearch.com of Arlington, Virginia. The colonnade: A true leitmotif of the period’s interiors, these open-plan room dividers are back in a big way. 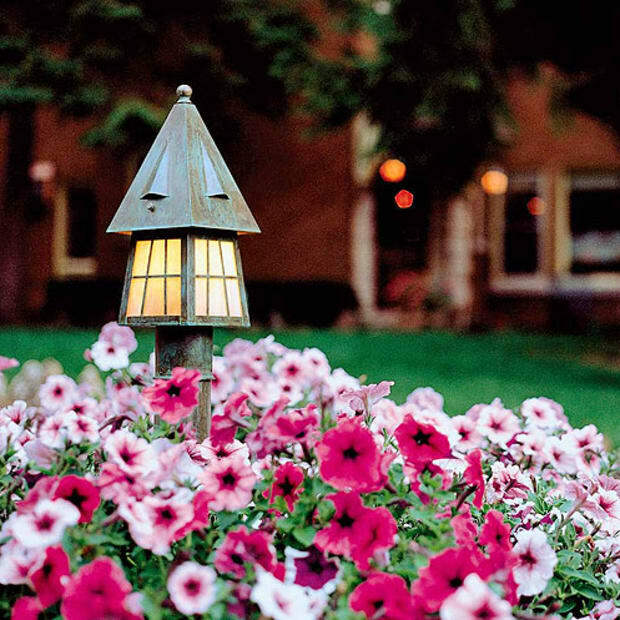 Old ones are no longer removed but instead stripped and refinished; new ones are popular in revival homes. Room-dividing colonnades usually appear in mirror-image pairs, the two sides often surmounted by a beam or an arch. Pillars may be set atop a pedestal wall that’s knee- to chest-high, perhaps incorporating built-in bookcases, glass-fronted china cupboards, or a bench seat. Both round classical columns and square “bungalow” pillars appeared in period millwork catalogs; colonnades of oak or chestnut were clear-finished. Painted colonnades, too, were in evidence and are particularly popular in the modern revival. 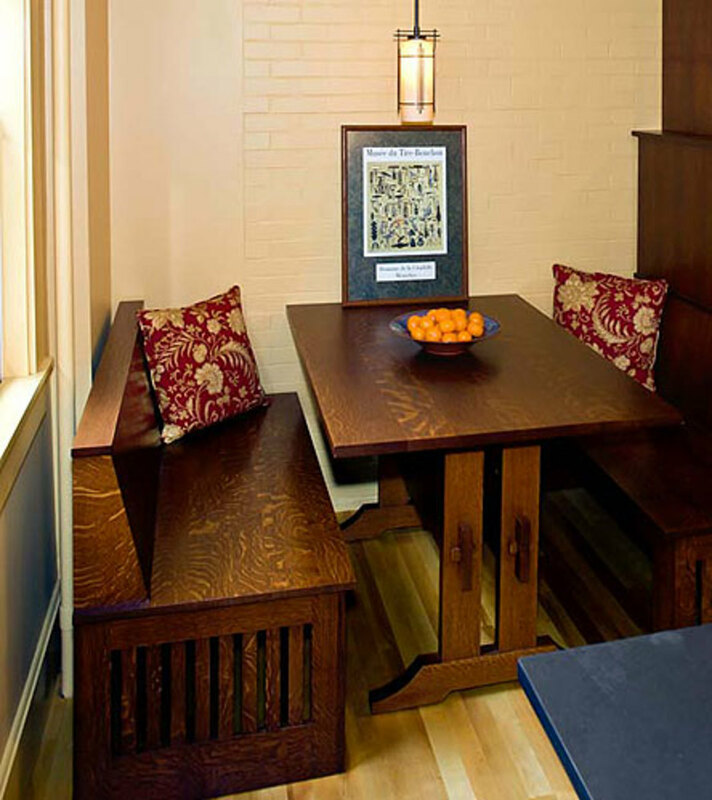 Unlike the painted breakfast nooks of the period, those of the revival may be built of furniture-quality hardwoods, as with this quarter-sawn oak table and benches in a kitchen by The Kennebec Company. Photo by Stephen Fazio. 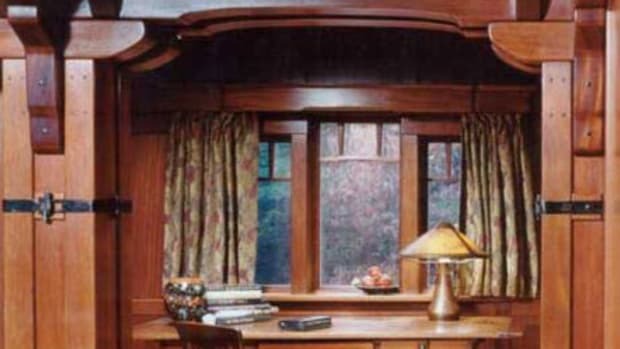 The breakfast nook: It seems every bungalow book, kitchen advertisement, house plan, and millwork catalog of the period featured an eating nook, cozy and often with whimsical detail. How many of them were actually built is up for question; adorable in illustration, they were a woodwork add-on that didn’t always make it to construction. The ones that did were ripped out during the inevitable kitchen remodelings that followed. But the nook is back in vogue, desirable both for restored bungalow kitchens and in new homes designed to be small and efficient (or just nostalgic). The treads are oak and the balustrade maple, but aniline dyes create a consistent look in a stair designed by Virginia architect Jim Erler erlerdesign.com and patterned after woodwork in a Greene & Greene house. 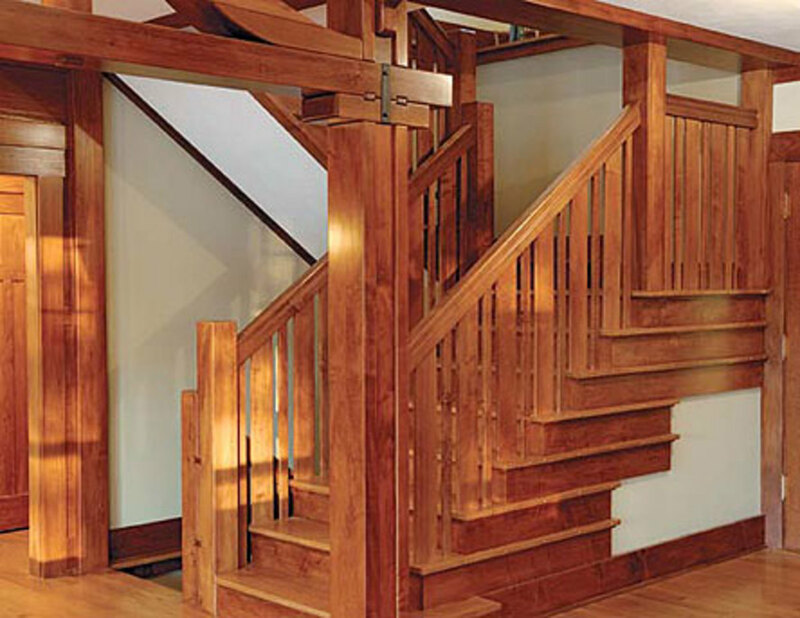 The Arts & Crafts staircase: For decades there have been two “default styles” for staircases: Colonial Revival and Modern. 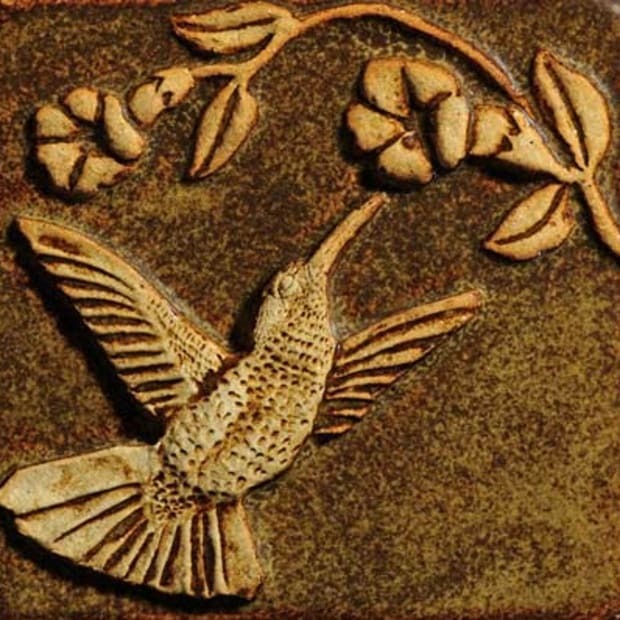 Today new houses are likely to have craftsman-built stairs, often in hardwoods like oak, with Craftsman, Mission, or Art Nouveau styling. In old houses, the staircase is a style- and era-defining element. Even when doors, mantels, and trim have been lost to time, the staircase can provide clues for restoration. Kitchen half-doors: Quaintly scalloped half-doors once served a practical purpose, hiding the under-sink plumbing while providing ventilation around sweaty pipes. Perhaps the open space also discouraged vermin from nesting in the warm, moist cabinet. There was a lot of variation in the patterns cut into hinged half-doors, found mostly in kitchens of the 1920s and 1930s. Before this era, sinks were wall-hung or on legs; in the 1940s and ’50s, the cabinet was ventilated with a slot or a perforated metal grille. 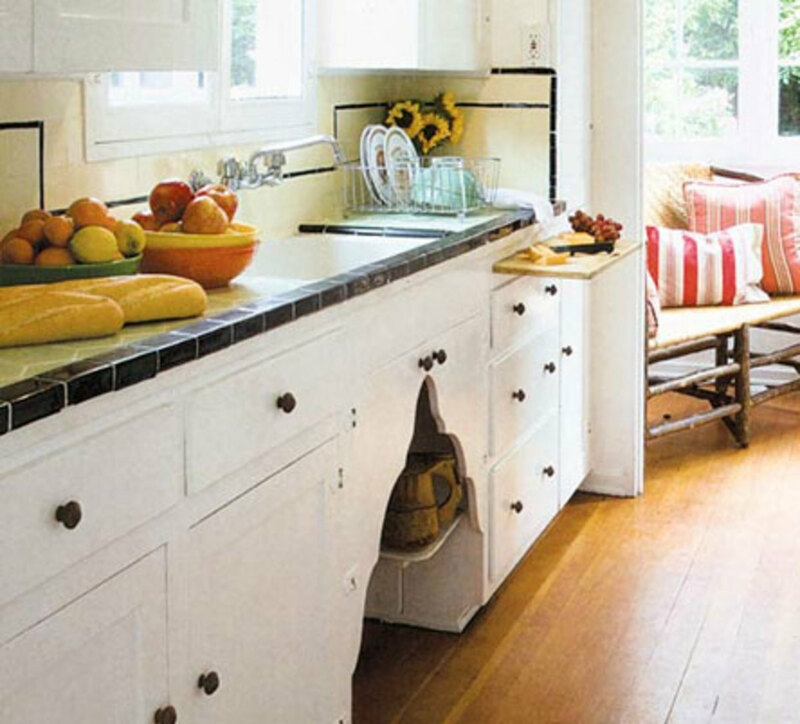 By the 1960s, with base-cabinet floors raised above the toe-kick, under-sink doors could be solid. A full trim suite in clear revival of a style: Casement windows line the perimeter of the living room at eye level, framing spectacular views in true Prairie School style. Shown is an addition to a 1914 Prairie house; addition designed by John Eifler & Associates, Chicago eiflerassociates.com. Photo by Bob Shimmer/Hedrich Blessing. Style-specific trim: “Arts & Crafts” is not so much a style as an umbrella term for an approach to design and living. 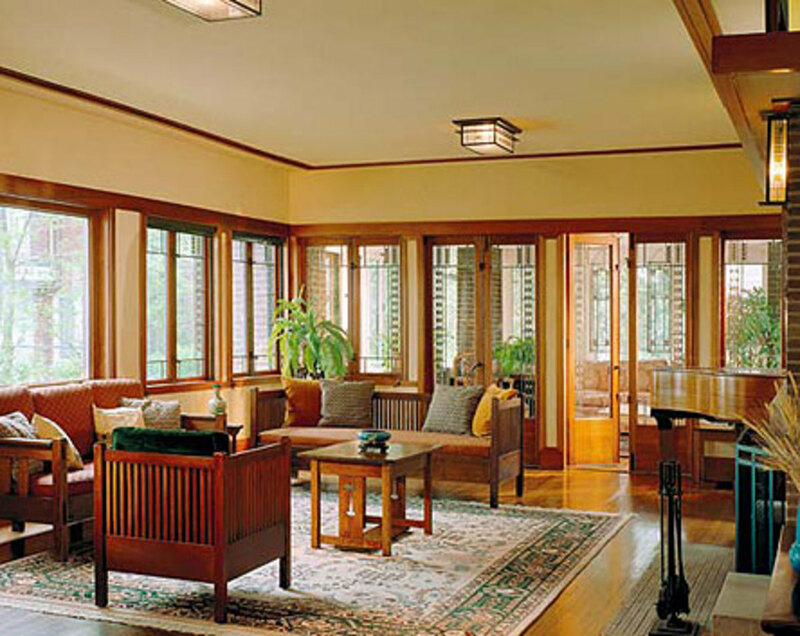 It encompasses such style conventions as Mission Revival, Stickley-related Craftsman, Midwestern Prairie School, California Bungalow, and English design from William Morris to Charles Rennie Mackintosh. Houses of this period (ca. 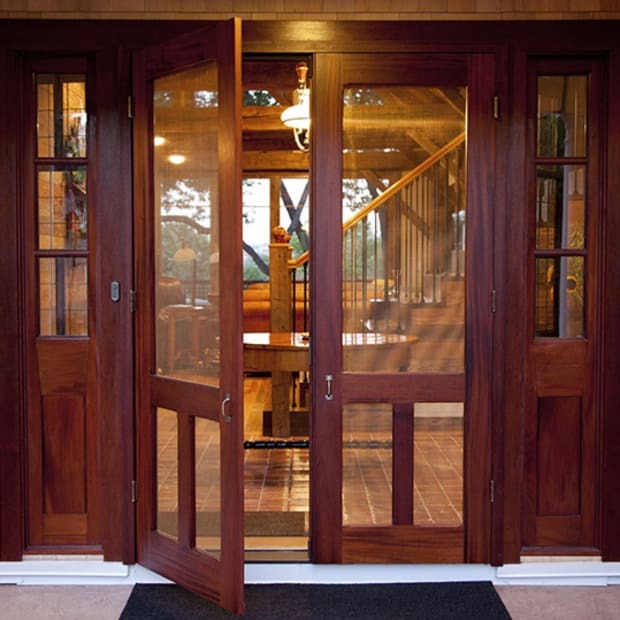 1890s–1930) often have woodwork that’s a clear indication of style and even region. 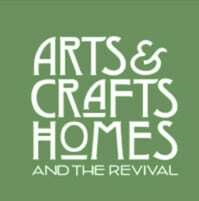 That kind of specificity is back, as the Arts & Crafts Revival becomes more and more sophisticated. Look for doors and trim right out of The Craftsman magazine; Prairie School window assemblages and flat moldings; Tudor mantels and staircases; Asian-inspired woodwork and built-ins in the manner of famous Pasadena architects Greene & Greene.